You and your family rely on your home's electrical system every day, so one of your biggest priorities as a homeowner is keeping it in excellent condition at all times. At Anytime Electric, our professional Florissant electricians understand how important it is that you know your electrical system is always totally safe, reliable, and functional, so we're committed to making sure that each of our clients receives the highest quality electrical services possible. Whether you need regular maintenance or intensive repairs, we'll always be ready and eager to tackle the job, and we can guarantee your complete satisfaction with all of the services that we provide. 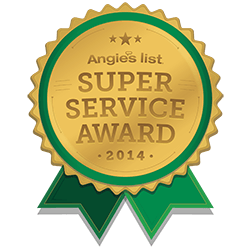 Our electricians are all licensed and trained professionals with extensive experience, so we'll always be able to do whatever it takes to keep your electrical system in the best condition possible. We provide a wide range of different electrical services, and we'll be able to ensure that all of the work we provide is totally thorough and accurate. We understand what an important part of your life your electrical system is, so we never take our responsibilities lightly. Call us today to ask any questions you have about the services we provide, or to schedule your appointment, and we'll be looking forward to assisting you. Any time you encounter an electrical problem in your home, it can be very frustrating, and you need to have repairs performed as quickly as possible—however, you should never attempt to perform any repairs on your Florissant home without proper training and experience. Electrical systems are very difficult to work with, and they're also incredibly dangerous. Even if you are able to complete the repairs without injuring yourself or seriously damaging your home, any small mistakes that you make could have major consequences. In fact, according the National Fire Protection Association, faulty electrical wiring is a leading cause of house fires in the US. Our electricians will always be able to repair any electrical problems that you encounter thoroughly and safely. We'll work to get the job done as quickly as possible, but we'll also make sure that we provide you with the highest quality workmanship possible. Your electrical panel is a very integral part of home's electrical system, and it's very important that your panel can support the amount of electricity that you use in your home on a regular basis. If you notice that your circuit breakers trip frequently, or you have older, screw-in style breakers, call our professional Florissant electricians as soon as possible. We'll inspect your panel, and we can provide you with a complete upgrade if necessary. If you are looking for a Florissant electrician then please call Anytime Electric at 314-280-0997 or complete our online request form.